The ride-hailing service Careem has now added a motorbike service which will enable its users to travel in the cheapest possible manner. Careem has been gaining in popularity by offering cheap and high quality transportation services but Careem Captains and customers both have always had trouble navigating the narrow streets of Rawalpindi, Lahore, and Karachi. Even though the ride-hailing service is flexible, crowded areas of these cities left room for improvement. Including motorbikes will offer those users with an option to navigate through such areas quickly. Bykea, one of the first motorbike hailing services, could be used for fast and cheap transport for people and parcels but it didn’t gain as much popularity as Careem. 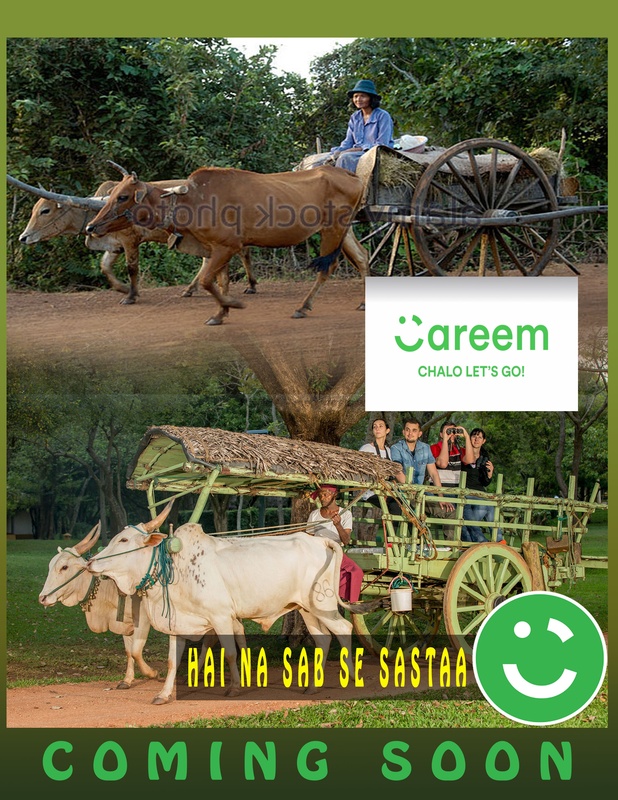 Careem has been expanding its operations lately to make the service more reachable and cheaper than other means of transportation – such as their introduction of a Rickshaw hailing option. Now Careem motorbikes will provide an even cheaper and efficient transportation method which is expected to be widely used thanks to Careem’s well-recognised brand name. The motorbike service seems to still in the rollout phase and, at the time of writing, is only available in Karachi and Islamabad/Rawalpindi. Bhai tm btana kYa cHaHty hO bhaiiiii..
Ke jo tumHre pass h R jO tum hO bss tum he hO..?? hr pOst m chawal maarna zroori hota h wrna galii kii gossip aunties kii trH pait baahir ajata hoga..
Bazti je ne ho gye ???? oohny ty barri kiti per maaasa ni feel kiti.? Bhai that’s too much. He has a right to express himself. Bhaya Express krna alaG hOta h R RAKSHAW ghusana alaG hOta h..
i think Careem and Uber should close their business because Abdul Wahab the Great doesn’t need these services. 1 km krna SITE se nikal k rOad k center m khde hO jana waHan se bht bde bde cOntainers jaaty h ksii k neeche aajaO R ehsaan krO ProPakistani k readers pe.. Us ke bad banda shoulders ya goudi mai utha ker chale ga. The cheapest option that would be. Wah, Bohat aala, A silent message for not all but Pakistani lazz azz ppl. what is the procedure to jooin new bikes??? and how much did we get from it per month with driver from coppany side? ?